You'll be £10.00 closer to your next £10.00 credit when you purchase Dead Was Everything. What's this? 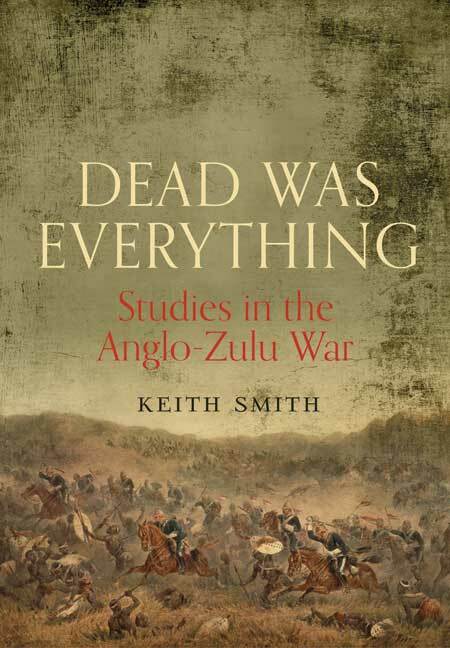 The Anglo-Zulu War of 1879 still intrigues both scholars and enthusiasts alike more than 130 years after it was fought. Its story contains tragedy, high drama and the heavy loss of human life; it involved five major battles and two lesser fights; and led to the snuffing out of the direct male Napoleonic line of France. And all this in less than one year. Reflecting on several years' research, Keith Smith presents a series of essays which explore hitherto unanswered questions and offer fresh insights into the key battles and protagonists of this epic conflict. He presents some surprising conclusions which differ, often radically, from more orthodox views. He also sets out to reveal the characters of the men – of both sides – who might otherwise have been simply names on a page. They are not: they lived, loved, fought and died. Some were heroes while others were less than that. Most were ordinary men who chose a military career and did their best as far as they were able. White or black, British or colonial, they are all brought to life and their unique stories told. This is an important contribution to our understanding of this famous war and the men who fought in it. This is an important contribution to our understanding of this famous war and the men who fought in it. [This book] will be of considerable interest to students of this war. It is encouraging to see books of this calibre - in effect, an extremely thorough and painstaking examination of 'what actually happened'. KEITH SMITH is a retired computer consultant with a long-standing interest in South African military history and has a Masters degree in the subject. He has published two books on the Cape Frontier Wars: Harry Smith’s Last Throw and The Wedding Feast War, also published by Frontline Books. Born in England, Keith now lives in northern N.S.W., Australia.